I think my one was of the full player parties working together at the launch of the game. There was so much to do and explore, no one really knew what they were doing at launch, but somehow we completed each missions one step at the time. I spend hours making builds and combining classes. Thank you for letting me create all these wonderful memories in Tyria. I started the game at launch, but didn't really get into it heavily until a group of my friends decided to all jump in when Factions shipped. We were all pretty sub-par, except for a few experts who had played more of Prophecies. We got through Shing Jea Island just fine, but started to struggle in the Kaineng missions. On a meta level, seeing my name in the credits for Guild Wars Nightfall was a proud moment! I loved the long nights of mapping large and far away places in the Southern Shiverpeaks for Tyrian Grandmaster Cartographer like Dreadnoght's Drift, Snake Dance and Mineral Springs. I loved the feeling of being all alone between the elements with just my trusty Henchies in these harsh (before clearing) but at the same time tranquil (after clearing) lands. I loved all the details in the scenery like the snow falling off the branches of the trees and of course the beautiful soundtrack. The southern Shiverpeaks was the last part I needed to map and I was so proud after finally getting my grandmaster title. The wonderful memories are far too vast to list all of, but here's a short list of the best ones in no particular order. Being a DJ for Blade Radio and the glorious parties that would form in whichever town or outpost I decided to hang out in. Interacting with the community, sharing laughter and fun, good music, and the joy of those who won prizes or simply got to hear their names called out over the "airwaves" in a random shout-out. The many times having a party wipe while doing Urgoz' Warren or The Deep (please bring those back in a way that the majority of players can have a chance to play them, Anet) because we were on voice chat and laughing too much to focus on the task at hand. The lasting friendships that were made and still continue now. And best of all, this unforgettable moment along with the short bit of RP that followed as the gift was given. Thank you again Gaile, you're amazing still. Pre-launch - I did the music implementation (layout in the game) for Prophecies as a contractor. I went into the office one evening and they were doing a run through a map and I had never played in an MMO. They talked me into joining their party and were very helpful and friendly even though I was a n00b. We come around a corner and there is a huge mob and the person directing the run says, "Everyone keep to the left", but apparently I didn't keep left enough, and aggroed a giant mob; everyone died after a massive battle but the party leader, who rez'd everyone. When everyone was back he said, "I guess someone didn't keep left." So yeah, that was my first experience in an MMO. My most memorable memory of Guild Wars 1 was actually from one of the beta weekends - where a number of us devs, as the weekend was drawing to a close, summoned an army of pre-searing Gwen's to prance around, playing her flute and MURDERING EVERYONE WITH FIRE! I was cackling like mad at the carnage - Oh, the humanity! Also, somewhat amusingly, there was a story step here before launch where you had to cleanse yourself before proceeding; you took off all your armor and stepped into the fountain. The "remove all your armor" part was removed before launch. I remember being on the wrong side of that. Good times. Dancing in Granite Citadel waiting for factions to go live. Prophecies wasn't doing too healthy at that point as there was not alot to do. If only we had known there was explorer titles incoming rofl. GW was the first on-line game I played. I started it in March 2009, and immediately fell in love with it. I remember early on, finding the quest giver standing by a monument on Istan. Sure I'll help defend you! Then.. . . hoards of skale attack in waves. Scared the bejesus out of me - what the heck is this! (i think it was the attribute point one). I died less than gracefully.... Somewhere an Anet dev was laughing and didn't know why, i'm sure. I remember the first Canthan New Year where our guild hosted a district. Our guild members went and farmed all the feast items, and then we set up 24 hour coverage of the feasts events to be sure everyone got all their goodies throughout the day. So many players in the map enjoying each other, playing GW trivia, setting off fireworks. Such a good feeling of community. (I don't know how to post a screenshot, otherwise I would have, sry) At that time there were over 100 districts in Shing Jea. So many memories -- my heart is full when I look back through the years. One that comes to mind right away -- after the amazing beta events before the original Guild Wars launched -- is the first Halloween festival. I had played a lot of games before Guild Wars came along, and I've played a lot since. But nothing matches the awe and wonder I felt when I first saw Lion's Arch decorated for Halloween, and when I participated in the activities around that beloved city (which is my favorite map in Guild Wars, probably for conga-related reasons ). When the Halloween Event ended at Midnight that year, players were gently sent back to the normal game. I was able to stay, however, and I remember sitting alone on a hill overlooking the center of town, admiring the mad moon, marveling at the burbling cauldron, watching the clouds move past, and delighting as the ghosts circled on the horizon. It was all I could do to close the game and go to bed, so much did I love it. And I love it still. And of course, traveling through Tyria with this guy. Awww, do you still have it? That's lovely that you remember. Thank you for being with us for so long! I do still have it. Even if I don't really spend any time in GW1 anymore, I know it still sits safely on one of my characters. a short one: early on in my GW career, my brother, who was a p dedicated farmer, gave me a Superior Rune of Vigor, which was worth, what seemed at the time, an absolute fortune, for my irl birthday. And a longer one: joining the guild that I would end up spending the rest of my time in GW1 with. That guild reformed under many names and many emblems, but it was always the same core of people, and I really had a great time playing with them, for years and years. Winning Hall of Heroes for the first time under my character's name. I remember being so nervous and sweaty every time I made it to Hall of Heroes. As a young teenager seeing my character's name displayed in chat was so cool to me. I fell in love with pvp because of this game. So many good memories. Reaching both Kryta and Vabbi were memorable moments for me, all because the manuscripts did a formidable job to hype me. And those places sure have lived up to my expectations! Also running into Grent's Footsprint by complete accident. I knew there were two new high-level zones that were added to the game but I had no clue they were in the Shiverpeaks. What a moment that was. Playing HoH for the first time. My first few GvG's as a guild leader and complete noob. We set sights on "Nomads Isle" because it looked cool. Then slowly progressing to the top 500 and further on the GvG leaderboards. EoE Bomb. I'll never forget this. Sooooo awesome. 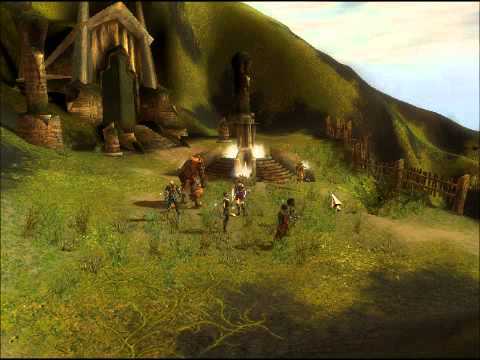 My brother got me GW1 just a month after Prophecies launched, and it was my first MMO - I played it religiously all the way through EotN and GW: Beyond. I have so many wonderful memories from the game, not the least of which involve the guild group that came together, our first time in the top 500 GvG rating, and plenty of other milestones. The one that stands out, though, is the first Halloween event. The massive sync dance parties (before /dance * was implemented) in Lion's Arch; hiding under the water while playing hide and seek with my guild while waiting for the Mad King to arrive... it was fantastic. My best team arena memories were made having 4 Warrior/Eles with lightning damage hammers, and Iron Mist (90% slow, immunity to all damage except for Lightning) and just locking each unfortunate target down indefinitely. Too many to list. Playing the Nightfall story for the first time was absolutely awe-inspiring and the environments were so beautiful and vivid that to this day, I've yet to experience the same sense of beauty and wonder in any game, ever, including GW2. I remember getting my Obsidian armor, that was quite satisfying. It required a little less grinding as a Monk because there was no headpiece, but still I was glad I got it in the end. I also remember how hard it was to get Elite skills in Prophecies. My mates and I made an evening out of them helping me get Shield of Judgement and we had a blast, even though there was nothing in it for them, I repaid them by helping them get their Elites (Barrage for example). I miss this kind of collaborative dependancy in GW2, you can do most content on your own, which is great if you're short on time (like I am right now), but there's something special about helping your mates out and vice versa. I wouldn't even dream of attempting a mission alone in Prophecies, and while to an extent I'm happy that the personal story levels and story levels in general are easy and accessible in GW2, there was a sense of urgency and "gameyness" to earning the knowledge of what happened next. And another, rather nightmarish one from me. I used to farm Totem Axes with a few friends. And we were all joking around after the farm was over and one of my friends dropped his Kanaxai's Edge (expensive endgame sword back then) on the ground as a joke. I think at that point three of us did /resign (/gg in GW2) and one of us didn't... then, before the fourth person realized my friend's Kanaxai's Edge was still on the ground (and not intentionally), the fourth person resigned and naturally, in an open-world area, the only option was "Return to outpost", meaning that he lost his sword. I can't imagine how angry he must have been and the worst part was that it wasn't intentional from the other three of us so he couldn't blame anyone but himself. Imagine losing what was then pretty much the equivalent of a Legendary weapon (or at least a Precursor) because you were playing around with it. Horrendous. After spending all night grinding on the season 2 GVG ladder the night before the cut-off. Played on a team called The Trublade, we had finally gotten to within striking distance of making top 16 for the season. Last game of the night, everyone is still fired up because we have been winning a lot that night. We meet the rank 16 team - Etcos and Shards- on the kurzick forest map which names alludes me at this time. The match is pretty fierce as both teams. At around the 15-minute mark, we made a mistake and lost middle. We got pushed back to our back to our base and things started looking grim. EnS pushed a little too hard and our hammer warrior was able to chain knockdowns and kill one of the monks, causing us to push back out and wipe them all the way back to their base. We ended up pushing too hard and getting caught in the same scenario. VOD Hits, we respawn, they decide to meet us in middle one last coup de grace. The battle lasts until the lords show up in middle. We put everything we had into killing their lord, but alas we a few seconds too late. Ectos and Shards had won the match. Even though we lost that was one of the best times of my life. Miss that team a lot of good players and people who just loved Guild Wars. 10/10 would lose that match again. I think there's too many good times to recall just one favorite. Every time it was my first time getting to a new area it was wondrous and full of new things to see and enemies to learn. First time trapping UW and Trolls was awesome to me. Going through campaigns and there being people just looking to complete the same content you are and just joining up and playing together. Recently ive helped some friends go through some areas that would be used to grind titles ie. Varajar Falls for the Norn title for Ursan blessing. GOD, I HATED GRINDING LIKE THAT BACK THEN but going through it with friends, looking back on it, those were actually good times and i look back on the memories fondly. I dont remember all of my first times completing areas, but i do remember when i was still a noob at DoA and my friend brought me to monk for the first time and the tank would pull the groups in veil to the corner. This was way back and we were using symbiosis to boost the tanks hp... well they got spiked down to about 25% or less and i unleased a full hp infuse and my buddy just goes "holy $#!%, cretos!" and as many have mentioned already, the early holiday events were a blast, seeing all the major cities decorated all uniquely, especially the moon! I'll share my most important one, even though I didn't work here at the time. I was lying on the sofa in my living room reading a book, and my husband was messing around on the computer nearby. I happened to glance up from my book at his monitor across the room and said "Whoa. What's THAT?" "That" was Pre-Searing Ascalon, one of the most gorgeous game environments I'd ever seen. Within a few hours (I waited my turn!) I'd rolled my own character and was head over heels in love. That casual glance up in between chapters led me to where I am now. Mine was stepping out of the Shiverpeaks into Kryta. Crossing the Shiverpeaks running flight from screechy-arrowed charr and xenophobic dwarves felt like a genuine (exhausting!) journey, and at the end of it you're walking through these ice tunnels with your fellow Ascalonian refugees and then...oh man, sand! And you step out and the sky is bright and the grass is green and it's the first time since pre-Searing that you're somewhere that isn't oppressive. It felt like hope! I love the history and background of things. The "why" is fascinating. Plus, Gwen and Kasmeer are my heroes... Playing GW1 really enriches GW2, because you begin to see the connections and the backstory. So in my short time of playing GW1 ( a year or two) One of the best moments was playing "Gwen's Story" and also "Togo's Story." But anyway, I was at a party, and I heard a girl talking about being in the beta for Guild Wars, which I was vaguely aware of. I thought it was an MMO in the normal sense, and I had bounced off them pretty hard after playing UO in college for a while, even though I was a pretty avid player of single-player RPGs and ARPGs. 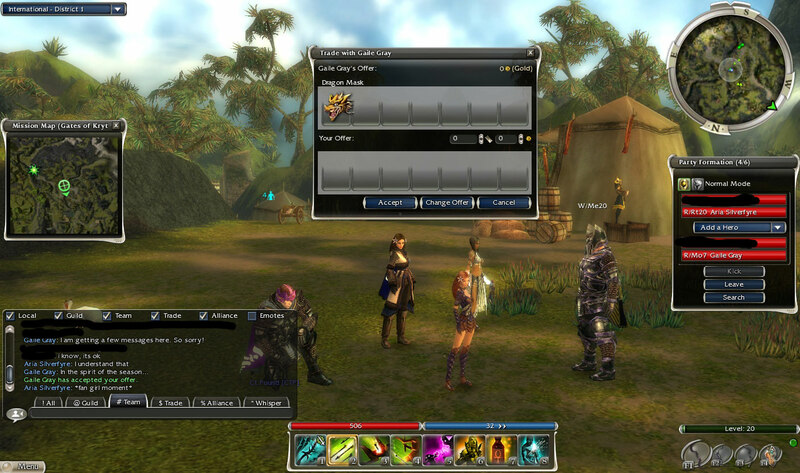 The concept of an MMO without a subscription or life-consuming commitment was interesting, so I asked more about it. Anyway, stuff happened, long story short, there are now three people in the world who could honestly say they owe their entire existence to Guild Wars. So, uh, thanks for that. That is a powerful story there, perilisk! ! Farming griffons. Really. It was the first time I've ever farmed anything in a game. Soloing those monsters alone with my warrior was a such empowering experience ! The first weeks of FA there was a lot taunting before each match. Being a fresh a assassin, killing Gunther myself had a special flavor to me. Spending almost an entire night in Ascalon Arena, I don't know how but we couldn't stop winning. I was the ranger, there was a warrior and two other I cant remember now. Best pvp of all my gw1 for sure. 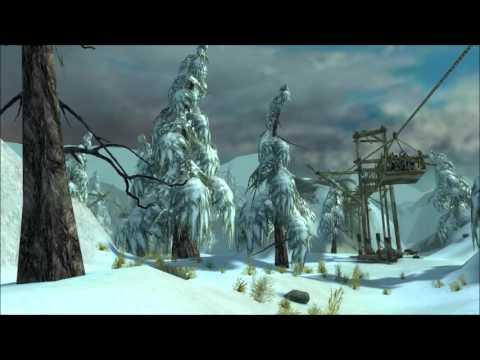 Getting out of Ascalon to the beautiful Shiverpeaks, still my favorite zone ever. Winning my first Hall of Heroes match - having your name announced in chat all around the game as the winner after countless hours of tryharding was just so satisfying. Hiring a runner in general and spectating him as he makes it through all the danger was always a rollercoaster ride. And once you zone in to the destination and the run is complete, wow.. one friend hired a runner way back from Frost Gate to LA or so, and we arrived while Halloween was at full swing with all the decorations and hundreds of districts full of players. I'll never forget that place, and my favorite event. 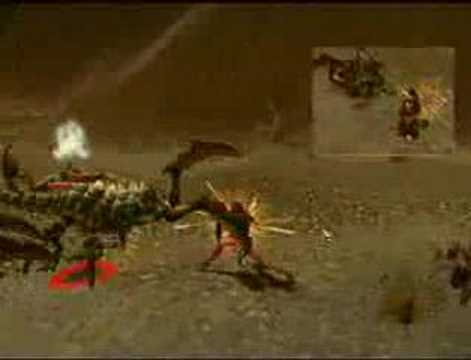 The searing - strongest introduction to any MMO ever. I hate charr to this day and have 3 LDoAs. I still farm Northlands occasionally just for good measure. Finishing my first successful 55hp monk farm run. Lil pleb me felt like a god.